Migraine treatments are generally differentiated by their goals of either prevention or immediate relief. The primary approach is usually to prevent migraines from happening in the first place or at least to reduce their frequency. Secondary to this is relief of pain and associated symptoms such as nausea and vomiting should an attack occur. There are various drugs available and your doctor will discuss the side effects and any contraindications that may be present with other health conditions you have. More likely than not, you will also want to use non-medicating methods such as lying quietly in a dark room and placing a cold cloth on your head. The visual and other sensory disturbances that can accompany a migraine are often very destructive and many sufferers find that they need a place of solitude and rest until their symptoms abate. Acetaminophen, also known as paracetamol is an over-the-counter drug that can be taken immediately at the onset of an attack and it works to lessen migraine pain. Caffeine may also be added to the preparation, which helps to increase efficacy and is thought to produce faster pain relief. Over the counter preparations such as aspirin and ibuprofen are examples of NSAIDS that can ease migraine pain and also alleviate inflammation. 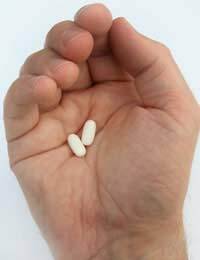 Be careful with regards to long-term use, however, as aspirin can irritate the stomach and may lead to ulcers. Other NSAIDS your doctor may suggest are diclofenac, naproxen or indomethacin. Antihistamines affect migraine headaches indirectly. It is thought that histamine, which is involved in allergic reactions, also triggers migraines. As such, antihistamines can be helpful in treating allergic symptoms that may accompany a migraine as well as decreasing the trigger source itself during an attack, which should help to lessen migraine symptoms. Antihistamines may have a somewhat sedative effect so it's best to avoid driving or anything requiring a clear head and focus. Most likely, you will wish to lie down anyways and the drowsy effect will likely help rather than hinder your relief. Ergot preparations have been used for decades to treat migraines. Their mechanism involves the constriction of blood vessels, which corresponds with the belief that blood vessels dilate during a migraine attack, causing pain. Ergots are not commonly used now because they do have some potentially very serious side effects and can also lead to misuse and rebound headaches. They are also not considered as effective as new migraine drugs that are more targeted for migraine pain. They do, however, still provide pain relief for some individuals and your doctor may feel that an ergot preparation is appropriate for your specific symptoms. If you are taking ergot compounds, be sure to use care and caution when following instructions for use. Triptans are one of the newer classes of migraine drugs. As with ergots, they do work to narrow blood vessels when you are experiencing a migraine. In addition, it is also believed that they block any inflammatory effects around the blood vessels. A bonus to triptans is that they also act on additional migraine symptoms such as nausea. Some of the triptans you may be prescribed are sumatriptan, naratriptan, rizatriptan and zolmitriptan. Overall, the triptans are considered highly effective, safe and do not have any widespread serious side effects. There are, however, contraindications with some other conditions, namely cardiovascular based ones, so your doctor should do a thorough history with you before prescribing a triptan medication. Your first line of defense against a migraine is still prevention, but your doctor will discuss ways to treat immediate migraine pain and other distressing symptoms. Remember to follow all medication instructions carefully and alert your doctor to any unusual side effects. Also, don't be afraid to ask questions and voice concerns about medications that your doctor suggests. Ultimately, you have to feel comfortable with the treatment plan and your doctor's knowledge is there to guide, not rule the final migraine management plan. It is hoped that by increasing your own knowledge on migraine treatments, you will feel more control and comfort when handling your head pain. I've never taken anti histamines at the same time as paracetamol, but I'll give it a go next time I get one of my frequent migraines, which I've suffered from since the age of 12. I'm now in my early 60's. I used to take one with 2 aspirin many years ago and they worked extremely well together, but since I've been on blood thinning medication, I'm no longer allowed to take aspirin. I'm not permitted to take Triptans either or any painkillers at all, except for paracetamol unfortunately and on their own they're useless. Interesting article and fingers crossed.